The swimming pool, at a distance of 1.5km from the hotel, belongs to the “Les Iles” complex. 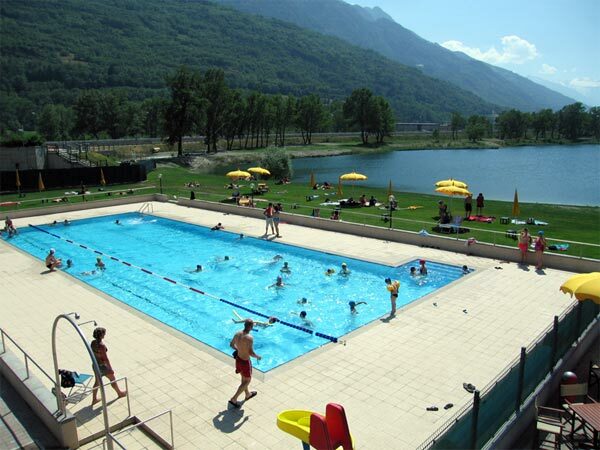 The beautiful 25meters pool with 4 lanes, surrounded by a 550 meters square paving, inside of a green area, is situated on the river of a little natural lake. 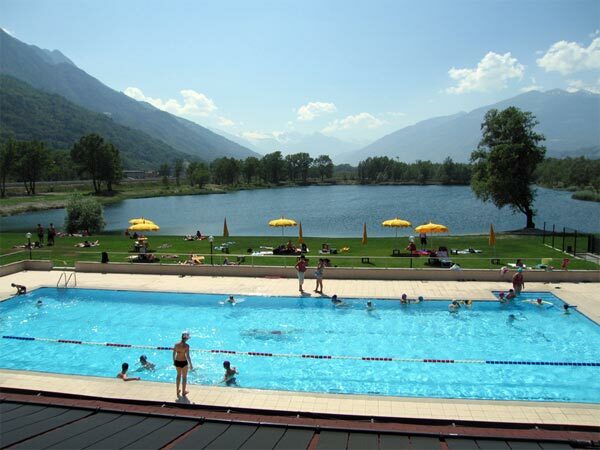 The water is warmed by solar panels which allows a regular temperature and at the same time respects nature. The entrance ticket is inclusive locker, solarium, changing room, shower and beach umbrella. Deckchairs have to be paid. Open hours of the swimming pool from 9:00 a.m. to 19:30 p.m.